This mash is super delicious and a great healthy way to bring substance to your meals – perfect for breakfast lunch or dinner! You can serve with eggs, fish, meat or have it alone as a soup. 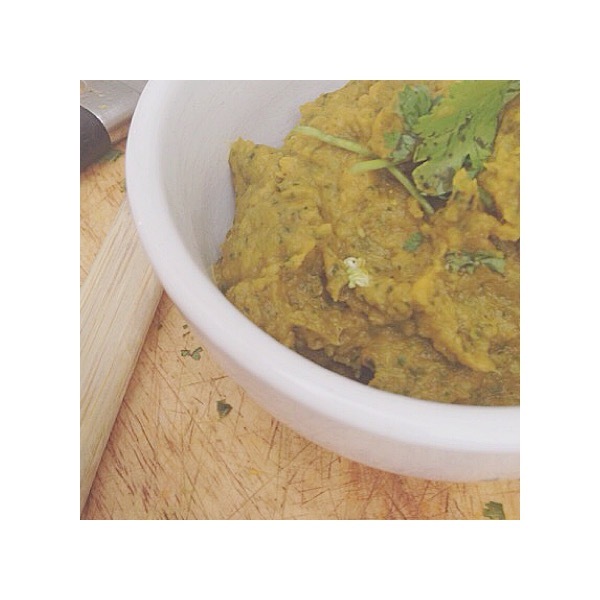 Low glycemic index, low sugar, high fibre, real live ingredients and with the wonders of turmeric = perfect mash! Pan fry 3 grated courgettes in 1 TBSP coconut oil, half of the turmeric, salt and pepper – fry on a high heat for 3-5 mins covering with a lid, then turn the heat down and fry without a lid for another 10 mins – stir occasionally so it gets nice and sticky. The wonders of turmeric and its super ingredient curcumin!